Laughing, Learning, Leading, Loving and Living Large all play a critical role in making our lives and personal relationships as good as they can be. Arthur F. Coombs’ delightful storytelling in HUMAN CONNECTION: How the “L” Do We Do That? is all about becoming the best “you” possible using these five tools. Coombs is an excellent storyteller, weaving a very personal narrative with historical examples of how it takes connection with others to be happy and fulfilled. He takes us under his wing, and unabashedly shares the most poignant moments in his life, including both his failures and successes. He also includes motivational stories and quotes from his family and friends as well as famously wise men and women, from Gandhi and the Buddha, to Coco Chanel and Marianne Williamson. Laughing is the first key to forming a solid connection with others and also “the only way to get through life…” quotes Coombs, adding “…laughter can kick off positive thoughts and feelings that lighten the mood and put things into perspective.” Coombs offers wonderful examples of how humor not only alleviates stress, but makes us feel good, and then he keeps us smiling and laughing throughout the book as he covers the other four L’s as well. Whether you want to be a good Leader at work or at home, the capacity for Laughing, Learning, Loving and Living Large are all interconnected and Coombs deftly makes it all sound seamlessly doable, from loving ourselves, to unconditionally loving others. Reading this book will inspire you to Live Large — abundantly, wholeheartedly, to the fullest — and also give you the tools to do so. Arthur F. Coombs III is a best-selling author, speaker, leadership guru, and single father of four, who is known for his visionary and innovative practices. Here, he answers my questions on HUMAN CONNECTION: How the “L” Do We Do That? What would you like readers to take away from reading your book? If we want to have a meaningful impact on those closest to us, at home or in the office, we must genuinely connect with them…in person. Not just through email, texting, or social media sites. Technology has made our lives easier in many ways, but when it comes to human connection, nothing beats doing life together in real time. Yes, life in community gets messy. We hurt other people’s feelings. We get our feelings hurt. We disagree. We argue. We sometimes say and do things we regret. But when we continue to try, when we make connections and develop deeper relationships, we grow exponentially. We learn about the world around us. We bond with others. We heal. We mature. We become better versions of ourselves. Why is connecting with others in person so important? With genuine human connection, you can have more profound, more fulfilling relationships if you focus on five L’s: Living, Laughing, Learning, Leading, and Loving. Living: Making an effort to be physically present, to interact and share with others on a regular basis is a critical step. Learning: Being open-minded and willing to listen to another’s point of view or feelings without necessarily accepting them is a gift to both people. Connection demands that you are eager to teach and be taught. Leading: If you want to lead others well in any capacity, you must first care about them. Whether you are leading or being led, true human connection is vital. Loving: Love has many languages, takes many actions, and has endless forms of expression. Learn what moves you and perhaps more importantly what moves those you care about. Choose mercy. Choose compassion. Choose forgiveness. Choose each day to be genuinely kind. We were not created to live and work alone. Authentic human connection is everything. And it begins with you. Without genuine human-to-human connection, you will never live the rich, wholehearted life you were meant to live. In your book, you explain how we “Create Our Own World.” Can you provide a little insight into that concept here? 1: Break the goal down into small, doable, daily tasks. Instead of the abstract goal of “losing weight,” commit to specific small actions you can do every day that will propel you towards your overall goal. 2: When you stumble on your small committed action (it will happen), no sweat! Just get back to it tomorrow. Recognize that stumbling and getting back up is part of the process. You are the source of your fortunes. Your dream is clearest to you and you alone. Let the dream drive sustained action. You have a fresh 24 today. What will you do with them? What world will you create? What is a “Story Holder” and why do you think it is so important to be one? Just like those tree-climbing fish, society often tells us that we are not enough. We are not smart enough. We are not tall enough. We are not pretty enough, thin enough, fast enough, strong enough. Enough, enough, ENOUGH! When we pile on our own negative perceptions and feelings for others on top of what society tells us, we are creating a self-fulfilling prophecy that will most definitely come to pass. You must bask in the light of others and allow them to share from time to time. You must give them the emotional space and comfort that allows them to drop their mask and talk to you. You must listen to your friends’ stories and savor and celebrate their authenticity and empathize with their pain. Hold their stories with reverence. Let your friends know you can be trusted and are worthy of hearing their stories. And when appropriate, laugh with them. Let them feel they are enough. Let them feel your trust, loyalty, and love. You quote Brené Brown saying “…we can only love others as much as we love ourselves.” How does one truly love themselves? There are many things I do that promote healthy self-love. I sing and dance in the kitchen making my kids cringe and laugh all at the same time. I laugh at my mistakes. I make many. But the quickest and easiest tip I can give anyone that is struggling with self-love is to do a random act of kindness for another. My natural reaction to stress, depression and my own selfish funk is to turn inward and shut myself off; I want to stay focused on my burdensome to-do list, and I want to be left alone. But then the lyrics of the song “Have I Done Any Good” by Will L. Thompson start dancing through my head, and I remember that the fastest antidote for self-loathing, discouragement and depression is to do something for someone else. I promise it truly works. I’ve tried it over and over, and it has been a foolproof method for creating healthy self-love, optimism, and cheerfulness. How would you define true or real love? The best definition I can give you for true love is “Love is wanting the happiness of another with no ulterior motives.” It is that simple. Hard to do, but that simple. What is the secret to Living Large, as you describe a genuinely fulfilled life? Do not let your past enslave or define you. Do not worry about the things you cannot control. Embrace and even encourage honest mistakes. Happiness is a choice, and anger, resentment, and jealousy are as well. Choose wisely. It is yours and yours alone to make. Your reputation means little; what other people think of you is not nearly as important as what you think of you. People and organizations who use shame, guilt, and judgment to create fear, intimidation, and control are not worth my time and energy. No matter how hard I try to please, plenty of people are not going to love me. There are only two things that are truly important to me — my time and my relationships. I protect closely what I do with my time and who I do it with. Human Connection: How the “L” Do We Do That? is available on Amazon. Learn more at www.ArtCoombs.com. 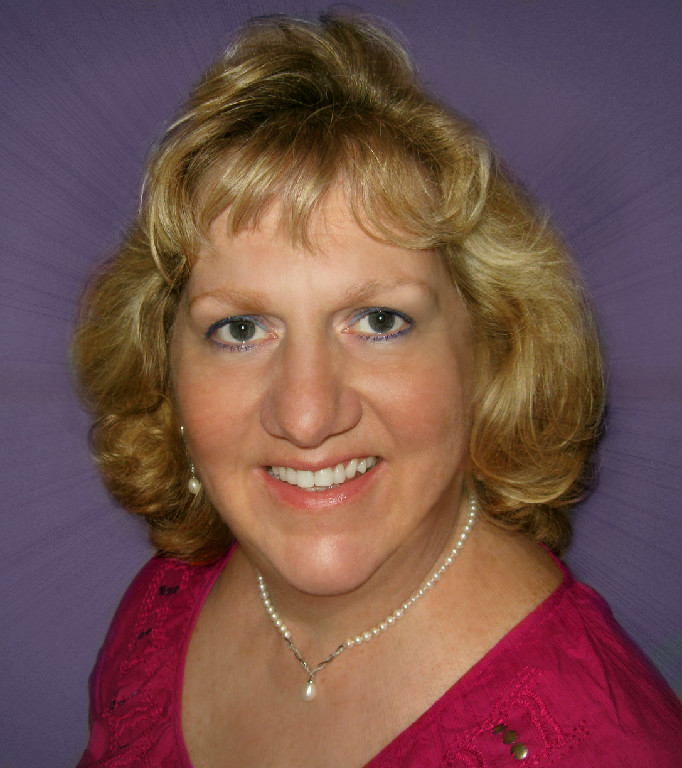 Many thanks to guest reviewer Heather Corbet, who is a spiritual mentor, medium and Reiki Master. Inspirations by Stephanie Clark is a guidepost, illuminating the way back to your authentic self. This book will help you open yourself up to new perspectives, and will allow for a vast array of new opportunities to come your way. Your sense of fulfillment will deepen, and you will gain an increased understanding of your true essence, which is pure love. As a mental health provider, Stephanie Clark knows the human experience all too well. After years of working with patients who were grappling for understanding of their place in this world, Stephanie began seeing similarities, a common thread of limiting and false perceptions, which were holding her patients back. To further assist and understand this process, Stephanie began furthering her own spiritual journey in order to seek answers. During meditation and journaling sessions, images and ideas started to flow that allowed Stephanie to see her own limiting beliefs and perceptions in a new light. Then like an artist to canvas, Stephanie took the images received and narrated them into stories of hope and love. As she was witnessing a transformation in her own life, Stephanie felt inspired to share these uplifting messages with others. As you explore the exercises and reflections in Inspirations, there is opportunity to witness your own transformation, as you are invited to take the most meaningful journey, which is the empowering journey within. 1. How did the idea for Inspirations start? The initial seed for this book started a year ago, when I began to work with a spiritual mentor. Prior to that, I had been feeling an urge to look further within myself, but wasn’t sure how exactly to do it. By working with a mentor, I was able to open up a part of myself that I did not even know existed! I started to write stories from images that I would receive in meditation practice. I could see these rich visual images in my mind and then was able to translate them into short stories. I had the idea to make the stories into a workbook format in February of this year and the rest of the pieces all seemed to fall together within a few months. 2. What themes are present in your book? The themes of Inspirations speak to the issues of worthiness, overcoming doubt, releasing limiting beliefs and beginning to live from a place of authenticity. Each story revolves around self-love. I feel most of the struggles that we face as humans can be traced back to the root feeling of being unlovable in some way. Every person can relate to not feeling good enough, which is why I feel this work speaks to people no matter what their spiritual background is. This is also why I wanted the book to focus primarily on self-acceptance, as once you truly believe that you deserve an abundant existence, then you will start to see miracles manifest in your everyday life. 3. Can you explain the workbook format further? Inspirations contains 21 brief daily stories which are 2-3 pages in length. Each story is designed to ignite a spark for further self-reflection. I envisioned this book to be a devotional of sorts, for the reader to review the daily reflections, ponder the messages, and then do the exercises throughout the day. The exercises themselves are mindfulness practices, meditations and visualizations. 4. What would you most want readers to take away from reading your work? The main message that I want to share is one of hope. I feel that we are all worthy of having an enriching life, full of love. My intentions for writing this book were for the reader to feel empowered, needed, and wanted in this life. 5. What advice do you have for other first-time authors who feel they have inspiration to share? My advice would be to develop a daily spiritual practice that resonates with you. This could be anything from meditation, to mindfulness practices or prayer. I believe that developing a sacred place between you and Spirit allows for your authentic messages to flow, which then ultimately will speak to the heart of your readers. Simply put pen to paper, suspend your self-judgments and let your inner spirit share your gifts with the world. Inspirations is available on Amazon.com in both Kindle and paperback editions. 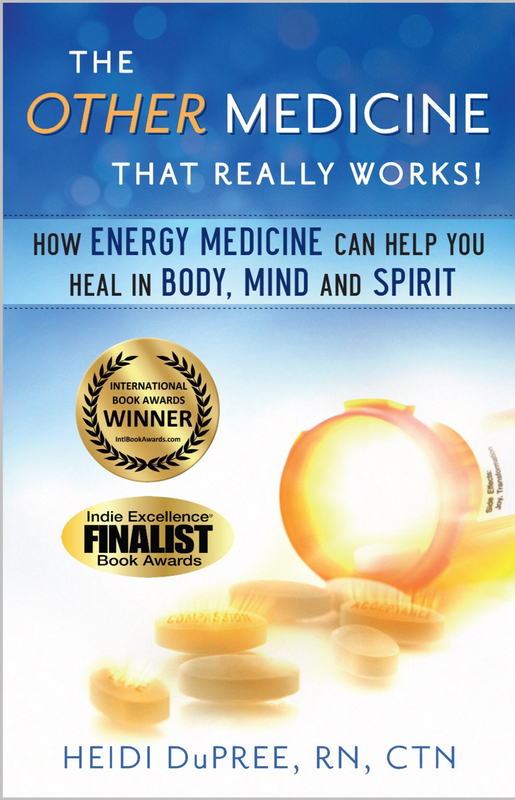 For a complete, easy-to-understand, and illuminating introduction to energy healing, see The Other Medicine…That Really Works! by Heidi DuPree, RN, CTN. She was a nurse who found Western allopathic medicine lacking in her own healing, which led her to explore and integrate alternative healing modalities into her practice and healing way of life. DuPree explains how the Western model of health care revolves around symptom elimination, while energy medicine gets to the cause of imbalance and can lead you into growth, transformation, and healing of body, mind and spirit. DuPree uses her own personal experiences, healing stories of her clients, and references to the work of many well-known healers to explain our bodies’ energy systems, such as the chakras and meridians, and how to heal any blocks. She also explains how to recognize your own healing process, what can block your healing and how to work with it. The book ends with useful energy medicine techniques that you can put into practice, including homeopathy, flower essences, craniosacral therapy, meditation, and acutapping (such as EFT and Dynamind, which I explain in my book, Balance Your Chakras – Balance Your Life). Both the stories of healing and the explanations of healing modalities are beautifully written. After reading this book, you feel you’ve been given a comprehensive introduction to the true path to wholeness. Here, Heidi DuPree, award-winning author, energy healing therapist, holistic nurse, Certified TraditionalNaturopath and transformational entrepreneur with over thirty years of experience in healthcare – half in clinical nursing and half in energy medicine – answers my questions about her work. BECCA: What can the reader learn from your own life journey? HEIDI: If there is one thing a reader can learn from my life journey, I hope it is the realization that every difficulty in life is an opportunity for deep healing. We have a choice between focusing on “getting through,” surviving or conquering challenges, or embracing these challenges as a vehicle for transformation. If it feels like your life is falling apart, that may be what needs to happen to clear the way to your authentic self. HEIDI: That self-love, acceptance, and compassion are the most powerful medicine in the world. BECCA: In your book, you write of reaching self-love through compassion. Could you explain that further? BECCA: What self-care healing practices can benefit the majority of people? HEIDI: I refer to self-care healing practices that can benefit anyone as “everyday energy medicine.” These practices would include spending time in nature and with supportive community, and using water, nutrients, sunlight, play, rest, movement, creative expression, sound and music, and ritual and ceremony for healing. These practices may sound simplistic, but they can facilitate deep healing. BECCA: What technique(s) would you recommend to orient to one’s core, and experience oneness with the universal energy field? HEIDI: Any meditative, mindfulness, or deep-breathing technique would orient self to core. To step into one’s core and into the oneness is to step into the heart center. We all step into and out of our heart moment to moment, and day to day. It’s a process of living more and more in our heart-centered higher self, and less in the head-centered, fearful lower self. My favorite techniques to do this I call Energy Medicine First Aid and Energy Medicine Daily Care skills, which can be downloaded from my website and found in my new book Awaken Your Greater Health. BECCA: What model of integrated health care would you like to see available? HEIDI: While I can’t speak to what model of integrated health care should be available for others, as I believe health care is an individual choice, I can share my personal approach. Although energy medicine is typically used as a complement to, or an alternative when Western medicine fails, I use it the other way around. For any health issue that is not life-threatening, I use energy medicine as my primary health care and Western medicine as an adjunct when necessary. Unfortunately, many people have been traumatized by Western medicine and may avoid it all together. The current widespread availability of both Western medicine and energy medicine at the same time is unprecedented in U.S. history, and empowers us all with health care choices. HEIDI: I would suggest that writers use the law of attraction to attract all the support they will need to take their message from concept to published book. This would include the time and space to write, a good writing coach and editor, supportive readers, a publisher if they want to traditionally publish, or financial support if they want to independently publish. Visualize the completed book, the people who helped make it happen, and the people who are benefiting from reading it, and feel what that feels like, as if it has already occurred. And then…this is the hard part…let go of how you are going to get there. Don’t try to figure it out. Let go and stay alert for the signs that will guide you that come through the coincidental, serendipitous, and synchronistic events that occur in our daily lives. These guiding signs usually come one step at a time with the next step revealed once action is taken. For more information or to contact Heidi DuPree, RN, CTN, please visit her website at http://HeidiDuPree.com. Communing with the Infinite took me by surprise – it really did awaken me to new ways to feel more connection with the energy that flows throughout us all. While I have done chakra work for years, I had only briefly worked with numerology. I have used colors to energize my chakras, but have not worked with the elements of air, fire, water and earth in a systematic way. 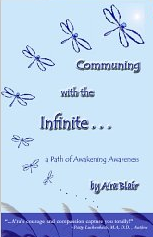 If you want to feel the Infinite’s presence in a way that resonates with you, in your own individual way, use this book as a map on your path.